The standard degree of enclosure protection is IP54 (Weather Proof). 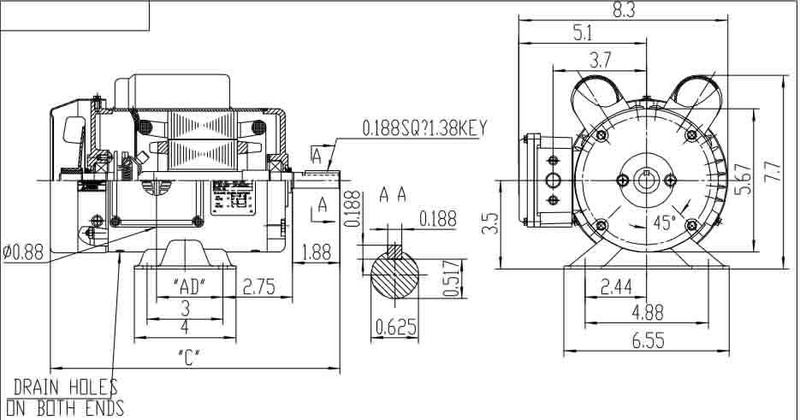 Both drive end and non-drive end are fitted with v-seals. Motors include high quality molded capacitor cover gaskets. Conduit box lid is sealed with a fitted rubber gasket.